The mission of Ronald McDonald House Charities is to create, find and support programs that directly improve the health and well-being of children and their families. Create a dedication wall that thanks the generous donors for the 2015 renovation of the house. It’s all about the kids. 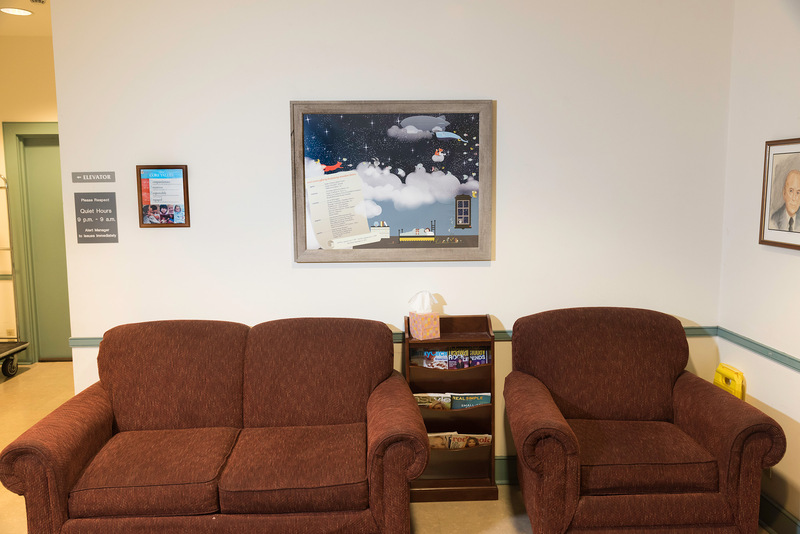 As donors have generously given to provide the house with more rooms, this artwork represents the children and their families that can rest easy for as long as they are staying at the House receiving treatment. 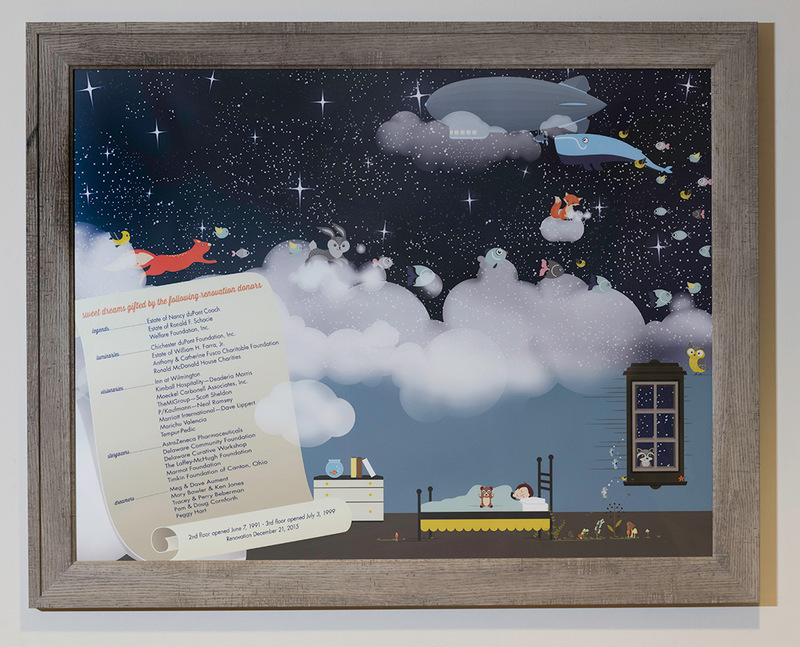 Based on Little Nemo’s fanciful tale of his adventure through Slumberland, this is a whimsical design to provide children a piece of art that speaks to their imagination.